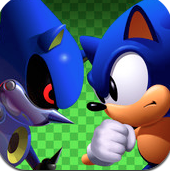 Sega just released Sonic CD for iOS and after playing through Palm Tree Panic, I can safely say that this is an excellent port of one of the best Sonic games in the franchises. For those of you who don’t remember, this game came out on the Sega CD in 1993 and was the best game to ever come out on that short lived system. 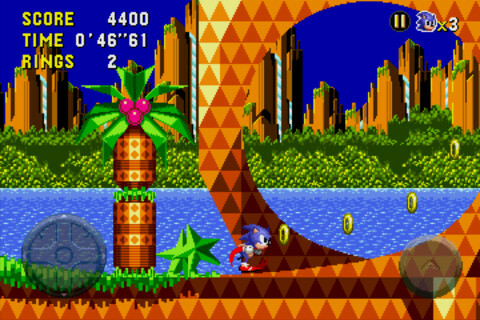 Just like the original, Sonic can go back in the past, present, and future on every level after hitting a flag and running at full speed (you unlock an achievement called 88mph, lol). There are some very welcome additions to the game. For instance, you can choose between the US and Japanese Soundtracks and Tails is unlockable after completing the game for the first time! 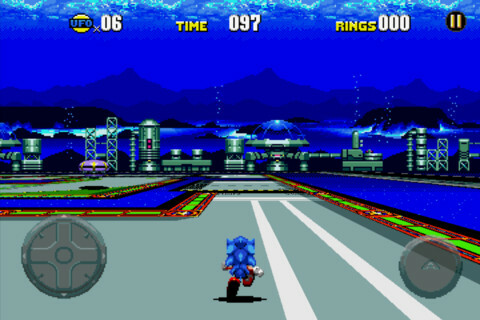 Sonic CD for iOS also retains the Full Motion Video animations that were on the Sega CD as well so you are not short sold on anything. If you need to stop and play the game later, you can will be saved and you can pick up where you started off at the beginning part of the level. The App store description says that this is enhanced for Retina Displays but the graphics are not as smooth as they can be and it still looks like it’s optimized for the 3GS and below screens. It’s not a deal breaker at all but that is something that could be improved on. Other than that, the game runs incredibly smooth and the nostalgic experience is fantastic. I love having the ability to switch in between soundtracks because I like some of the US tracks better than the Japanese and visa versa. This is the number one game on my iPhone at the moment!